Following a successful start to its 2016-17 season, the Artesia Arts Council is looking forward to additional workshops, classes, programs and shows in the new year. 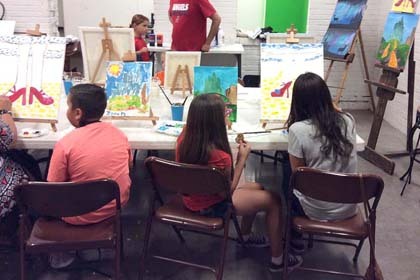 The Artesia Arts Council now offers watercolor workshops, canvas classes, music lessons, yoga, and personal development classes for adults. The children’s education program is blooming with fine arts, beginning, advanced and elite theatre, and music lessons, including piano, guitar, drums and violin. 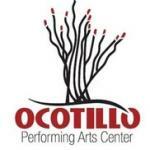 Those interested in becoming members or purchasing Golden Tickets should contact Jenna Secrist, membership director, at the Ocotillo Performing Arts Center, 746-4212. Anyone interested in classes, workshops, concerts, or special events may also contact the OPAC or drop by and enjoy a brown bag lunch while perusing works in the OPAC’s lobby gallery. Artesians should note, however, the OPAC will be closed to the public through Jan. 9. Tickets for workshops and shows may still be purchased online at www.artesiaartscouncil.com during this time. The OPAC’s concert season will resume Jan. 31 with the Olga Vocal Ensemble of Utrecht, the Netherlands.